The Still Racer is a great little machine to enjoy fast flying. 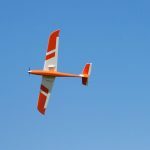 The airfoil used, as well as the concepts applied, give the model excellent flight characteristics and high performance. Thanks to an aerodynamically clean air-frame the model has a surprising shallow glide-slope. 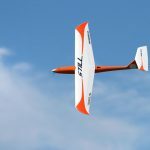 The Still racer has a carbon-reinforced fiberglass fuselage, polystyrene/balsa wing, structural elevator with carbon spar and leading edge and therefore is agile and break-resistant enough to be capable of aerobatics, and best part is it will be here soon! Watch the Albatros soar in all its glory! The Albatros 3S/E is one of the most beautiful combinations of classic design and modern technology. 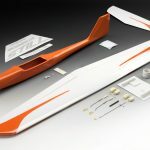 The nostalgic shape is perfectly blended with modern building techniques to create an electric sailplane that performs as well as it looks. 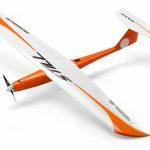 The white gel-coated fiberglass fuselage combined with high-tech CF main spare/leading edge tube wing and carbon/balsa built up tail parts come together to make the Albatros a strong and light model. Do not be fooled by the its retro looks. This model was designed and built to be a 21st century favorite. 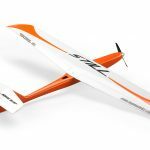 With its flap equipped, 3 piece wing and full flying elevator the Albatros is one of the most impressive models that we have seen in quite some time. Each part is carefully handcrafted with meticulous attention to every detail. As soon as you open the box, you will find the Top Model build quality that we have come to expect. We offer this guy in a Store Display (RX-R Ready) Model, or ARF. Check it out. Watch the EDF Self Launching System as it soars through the air. Installed on a Discus 2b this Jetec 90E gets the job done.